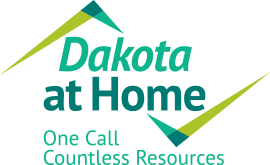 This survey helps South Dakota's Aging and Disability Resource Center, Dakota at Home, further improve the service customers receive when they call our phone number for information, referrals, and assistance. * 1. When calling ‘Dakota at Home’ was your call answered by a ‘staff member’ or by ‘voicemail’? * 2. If your call reached voicemail, how much time passed before you received a call back? * 3. On whose behalf did you call? * 4. Would you say the Dakota at Home staff you talked with was knowledgeable and shared helpful information about the available services? * 5. Would you say the Dakota at Home staff I spoke with explained the services and resources available? * 6. Were you satisfied with the service provided on your call to Dakota at Home?